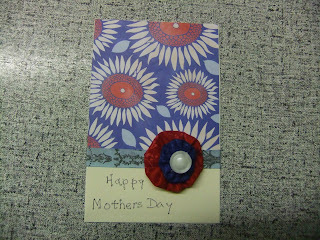 I was inspired by the mothers day cards on this blog click here and scroll down to 23 March 2011. 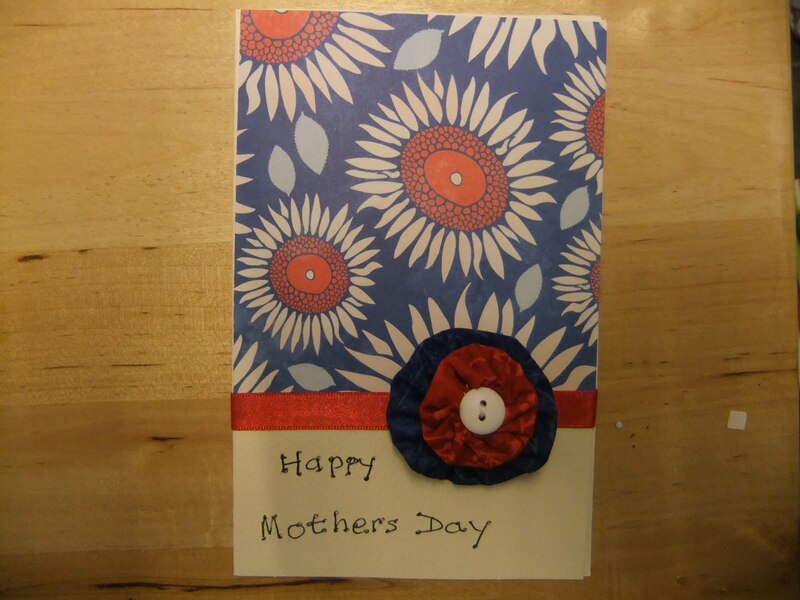 My printer has stopped working - how sad - so I could only write my greeting - I made one for my mum and one for mother in law. Let's hope their eye-sight isn't up to scrutinising too closely!!!! 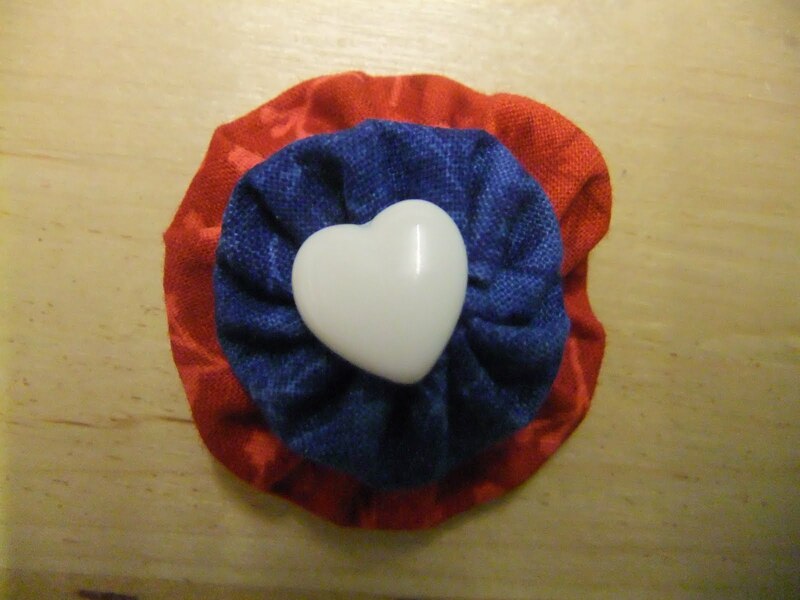 The yo yo flower is a brooch, which can be removed and worn. I thought about getting a little American red white and blue theme going for these cards, but they could also wear their brooches for the Royal Wedding. And this is mine - I was looking for a star-shaped white button, but I'm still looking! 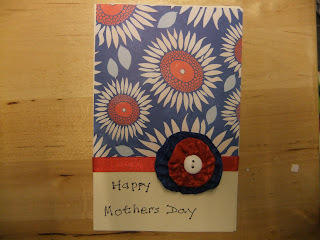 I'm also STILL waiting for the card from my DS - if you're reading this Tom - you now have TWO Mother's Days to remember and send cards - a handmade one will always make it to the blog!